The controversial Bank Junction in the heart of London’s financial district is due to ban taxis and other traffic once more as roadworks in surrounding areas end.The 18 month traffic modelling “trial” banned all vehicles except for bikes and buses between 7am to 7pm Monday to Friday. £130 penalty charge notices were quickly issued for anyone skirting the exclusions from the junction.However, roadworks on surrounding main roads including Cannon Steeet, Gracechurch Street and King William Street has meant a recent reprieve for all motorists. 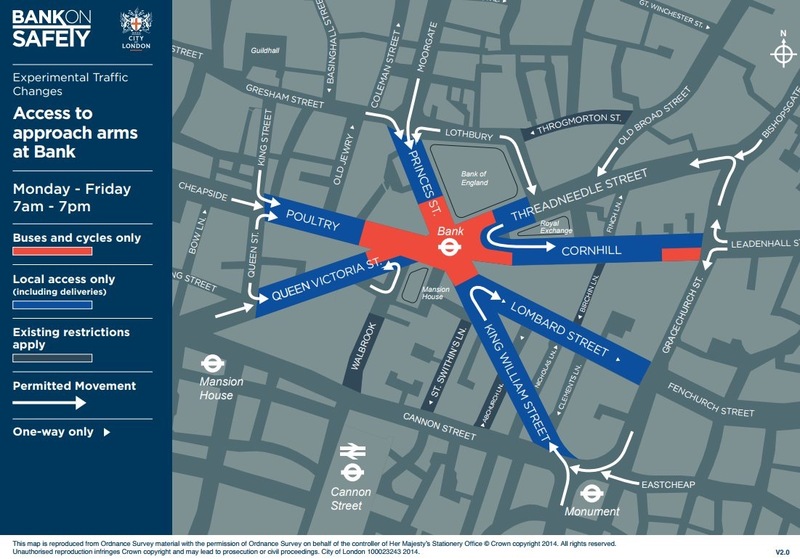 Access was granted along Queen Victoria Street Eastbound to help ease gridlocked congestion.The City of London have announced that as of start of this week, Monday 19th August, the restrictions are back in place and no taxis are to cross the junction using Queen Victoria Street. 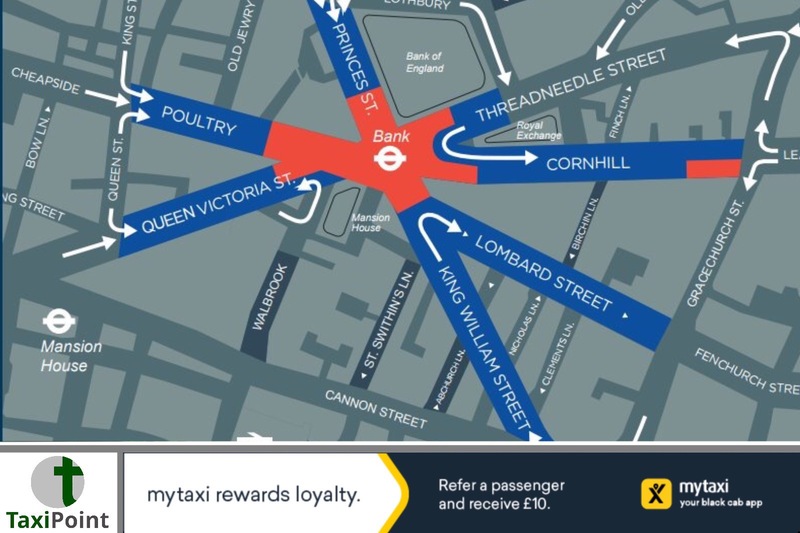 From the outset the ban was supported by 150 firms in the City, but there has been long term condemnation by the taxi industry as well as some businesses in the area, which include The Ned Hotel.The restriction surrounding the junction was put in place after cyclist Ying Tao was killed by an HGV turning left in 2015. Between 2012 and 2016 there was 107 accidents which sadly included 2 fatalities.